DUFF’S BOTTOM, Tortola, VI - It was the only place to be for the, who’s who, of the Virgin Islands (VI) political and social class. It was last evening, Saturday, November 17, 2018, when the VIP celebrated its 47th birthday of being alive, while on the other side, the ruling National Democratic Party (NDP) and their supporters along with the country, have witnessed the demise, break-up, death and political instability after less than 20-years in existence. 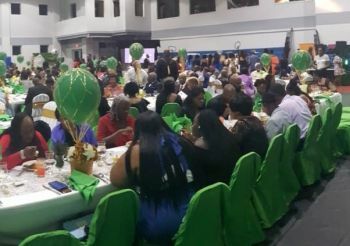 The ‘Save the Seed Centre’ was transformed into an oasis of chairs, tables, beautiful decorations, balloons, carpets, food, drinks, a band, young and old, along with the colours of the VIP—green and white. Of course all guests, honourees and hosts, were dressed for the occasion with formal wear, evening attire of all sizes, gowns of all styles and colours, bow ties, cultural wears, tuxedos, high-end hairstyles and cuts and of course the heels. It was the time for the the VIP to honour 10 residents from all walks of life, for their contributions over the years to culture, music, politics, courage, determination despite the odds, public service, business accolades, nation building and for humanitarian deeds. 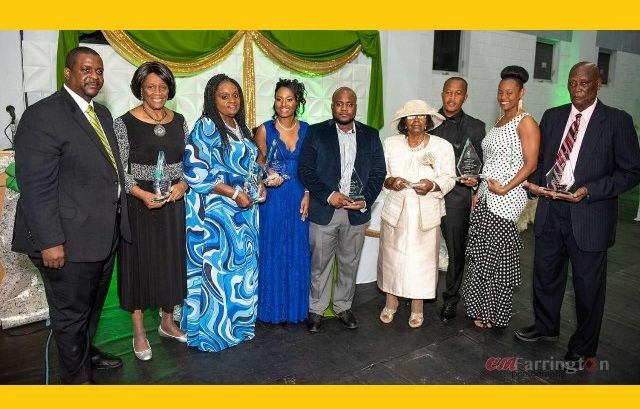 The 10 honourees included political stalwart, Honourable Ralph T. O’Neal OBE, who with the late local hero, H. Lavity Stoutt, are considered the fathers of the modern VI. Hon O’Neal, the second Chairman of the VIP, was honoured for years of nation building and taking the baton from Mr Stoutt to keep the Territory’s development and prosperity alive. Hon O’Neal, has contributed with others to enhancing the quality of life in the VI. In addition, his wife Reverend Edris O’Neal OBE, was also honoured for the personal sacrifices she made, for standing by her husband’s side, her humanitarian deeds and her always putting country above self. Late Legislator, Mr Prince M. Stoutt, was also on the honour list, having served in the 1970s to 1995 and oversaw many infrastructural developments in his Second District and was also a humanitarian; A man who cared and loved people. Mr Harold G. Smith was honoured for his support of nation building, where he played a role from a very young age, a public servant and always strived to do his best in whatever roles he was in, while another honouree, Ms Leontine Lettsome, is a 'walking knowledge' of the history, culture and early days of the VI and was one of the strong women at H Lavity Soutt’s side, as their friendship transcended politics. 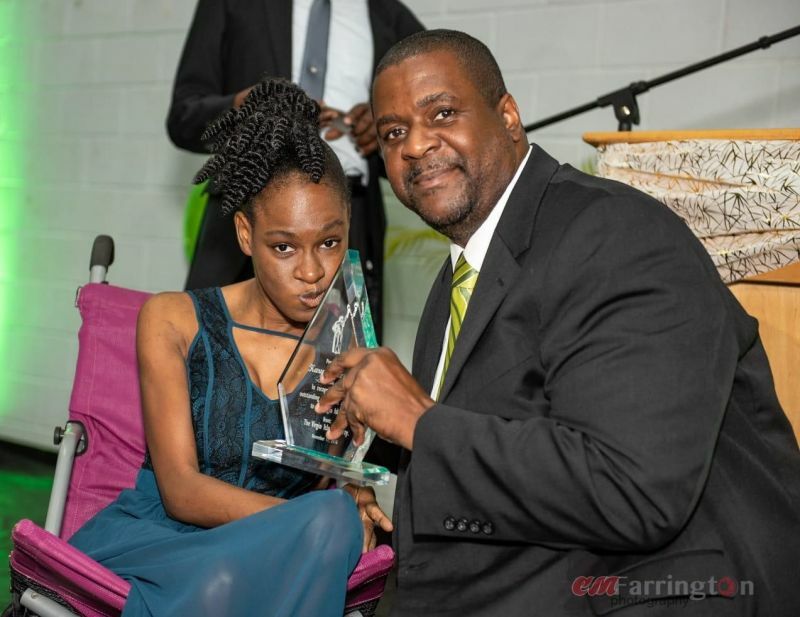 One of the most touching honourees was Karyn O. E. Alexander, who is physically challenged, but her strength, determination, her spirit of 'I can do this' and her career path has been an inspiration to her immediate family and the Territory. Many young entrepreneurs were also part of the honouree line-up, including businessman and trendsetter Mr Kenrick D. Headley Jr., aka ‘KJ,’ whose original fashion and contribution to VI’s cultural wear, remains a must have. 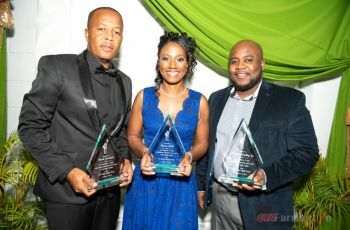 When talking about a woman of power, talent, ambition, a nation builder and one who knows when to place country above partisan politics, then Ms Ayana S. Hull, comes to mind, as she was honoured at the gala affair. 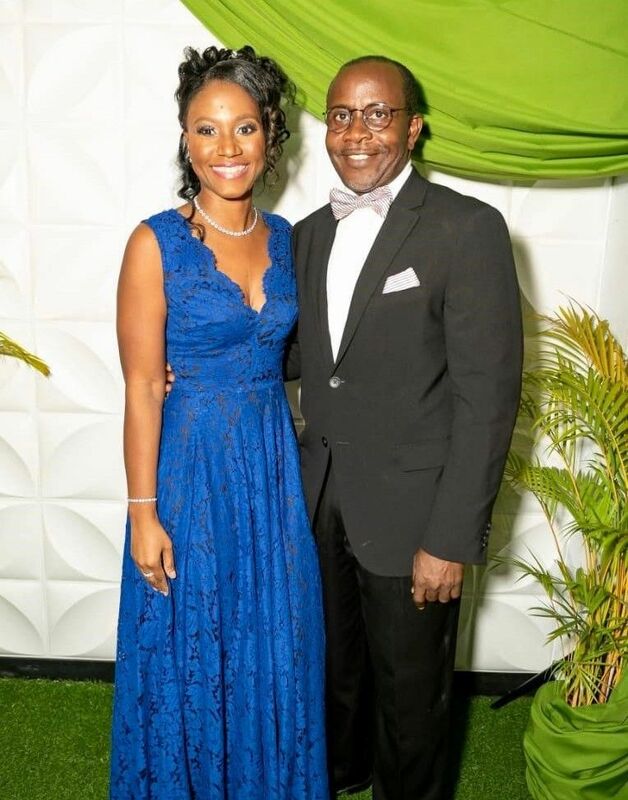 Her contribution to the VI is long and her achievements are outstanding and she remains a role model not only as an Attorney, businesswomen or activist to other young women, but her commitment to the Lord Jesus Christ, is part of her disposition. Ms Sheann Penn-Maduro, another of the women honouree’s who has a passion for youths, was also recognized, for nation building and her commitment to the youth and youth activities and organizations, while another name associated with being a positive role model for young men in the arts, Mr Raul R. Sprauve aka ‘Jougo’ was also honoured. Mr Sprauve needs no introduction as his music, businesses, and communication skills and love for country are unmatched in his age group. The night went smoothly and it was the combination of a well-planned event, as there were people present from all political parties, including Hon Alvera Maduro-Caines (R6), former Deputy Premier R. Dancia Penn OBE, national hero and business women Ms Patsy C. Lake, political aspirants Mr Julian Willock and Mr Neville A. Smith, whose father was also honoured. Others included Ms Sharie B. de Castro, Carvin Malone, Mitsy J. Ellis-Simpson, Irene F. Penn O’Neal and Elton L. Sprauve among others, as well as the confirmed VIP District Candidates. VIP Chairman, Honourable Andrew A. Fahie (R1), spoke about his journey to rebuild the VIP and thanked all for the support and hard work, in the effort to make the gala event a success. Hon Fahie also acknowledged the only living founder of the VIP Ms Naomi Turnbull, to the chairs of the audience. In a surprised move and unknown to Hon Fahie, the organizing committee also honoured the young political leader for his service and support to the VIP as its fourth chairman. 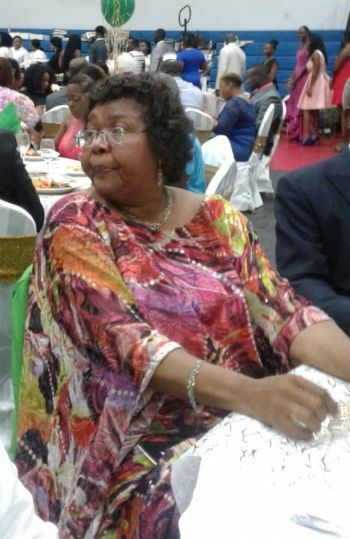 The chairwoman of the 47th anniversary committee was businesswomen, beauty queen and radio personality Ms Zoe J. Walcott, who was commended by all for a job well done. Who Jah bless, no man curse. Your “Church” people are the worse. hush because you can't count. Get over it. Let it go hunny!! It was truly a great event, executed well down to the food. Very glad I attended. What an AWESOME evening. Great job VIP. VIP continues to impress me. Hon. Andrew A. Fahie is a true leader & he will be the next Premier of the BVI. VIP looking good so far ..Still waiting for those 4 at large candidates before I can crown them..like most of us we have our favorit 4..I have my favorit 2. Flax and DeCastro...any other 2 won't matter to me. All the honorees are desrving of being honored. Thia is really good. Kudos VIP! The VIP is the most organized political party in the VI. VIP ALL THE WAY in 2019. I have never seen Fraser did this when he was in charge of the VIP.. Fahie ia definitely a powerful & strong leader. What a night it was for sure! Stop beating a dead horse. The 3rd jumped himself and if he was about the people & not about power he would have jumped back on. Are these awards just to members of the VIP or persons in general who have made some kind of contribution to the territory? Not familiar with the event. Leave them please and the church!! Let God be God. Blessings.